Based on a true story, this gripping novel of crime and redemption explores the kidnapping of a young boy during the Christmas holidays, and the anguished and impassioned search, led by three detectives, Ralph Kane, Isaiah Bell and their boss, Inspector Roberta Easterly, to find him and his captors before it is too late. As they navigate political maneuverings within the police department and delve deep into the city's underworld, Kane and Bell must each confront their own personal demons in order to bring peace and healing to a shattered community. "Like Hemingway, Graham doesn't waste time with verbal flourishes; he gets to the point quickly and brutally with a scalding cynicism that makes the book such a compelling page turner, painting in bold, broad strokes images of the hell and desperation of a"
"Most fiction writers trail after guys like Michael Graham with notebook in hand, hoping to glean authenticity for their stories. Mike's been a military counterintelligence agent, a criminal investigator and an award-winning crime reporter. 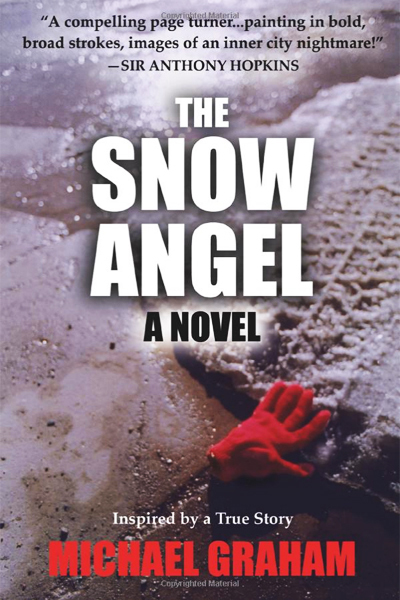 First he lived "
"In addition to being a riveting police drama, The Snow Angel is an insightful - and very human - commentary on the state of race relations in today's America. Ultimately, it is a story of healing - the next necessary step for our still-evolving nation. Mi"
Louis Gossett, Jr.	star of Roots (Emmy), An Officer and a Gentleman (Academy Award), Diggstown and Enemy Mine.